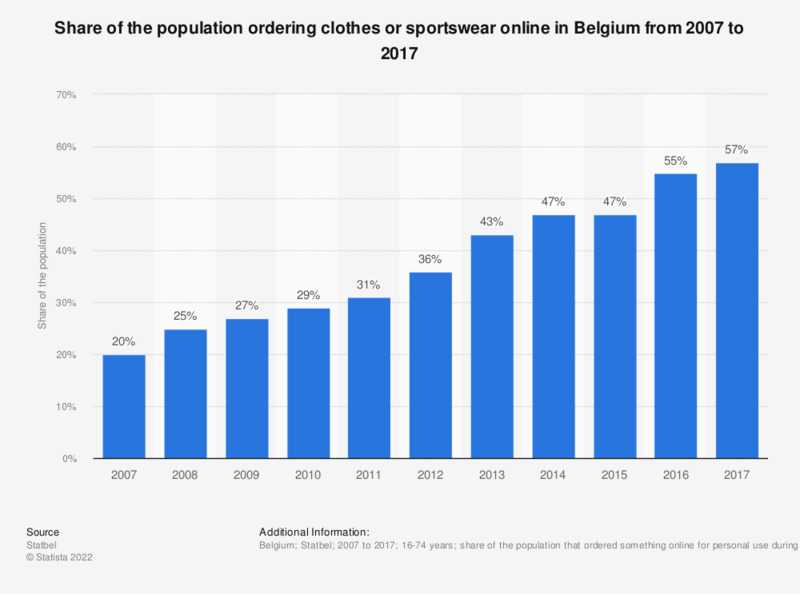 This statistic shows the share of the population ordering clothes or sportswear online in Belgium from 2007 to 2017. In 2015, 47 percent of the Belgian population ordered clothes or sportswear online. By 2017, this had increased to 57 percent.